The Iraqi resistance has a new political head. Apparently al-Zarqawi's annual evaluation didn't go too well. Unfortunately he still will be involved in military operations. 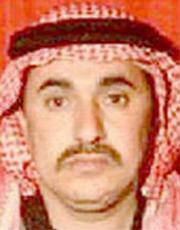 Iraq's resistance has replaced Abu Musab al-Zarqawi as political head of the rebels, the son of Osama bin Laden's mentor has said in Jordan. Hudayf Azzam, 35, who claims close contacts with the fighters, said on Sunday: "The Iraqi resistance's high command asked Zarqawi to give up his political role and replaced him with an Iraqi, because of several mistakes he made. "Zarqawi's role has been limited to military action. Zarqawi bowed to the orders two weeks ago and was replaced by Iraqi national Abdullah bin Rashed al-Baghdadi." Attack Iran And Unleash A Tiger?